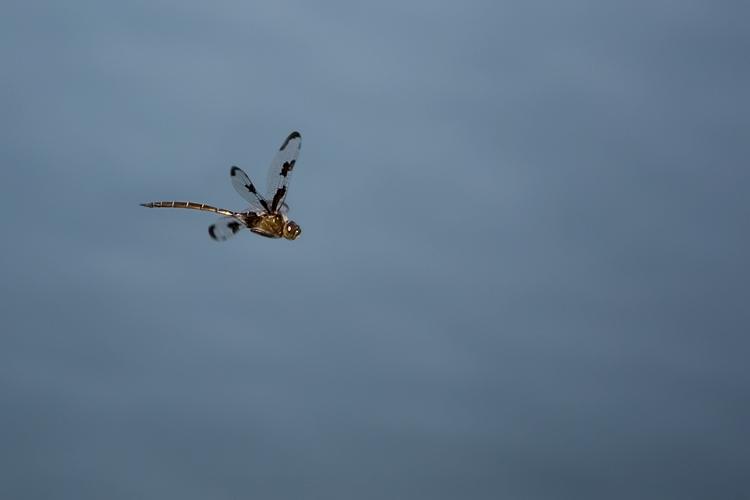 this guy's flying was so erratic and fast that it was extremely difficult to get any sort of focus. i must've tracked him zooming back and forth for 30 minutes - and only got off 3 or 4 frames. luckily one of them was in focus. that's a lake behind him.